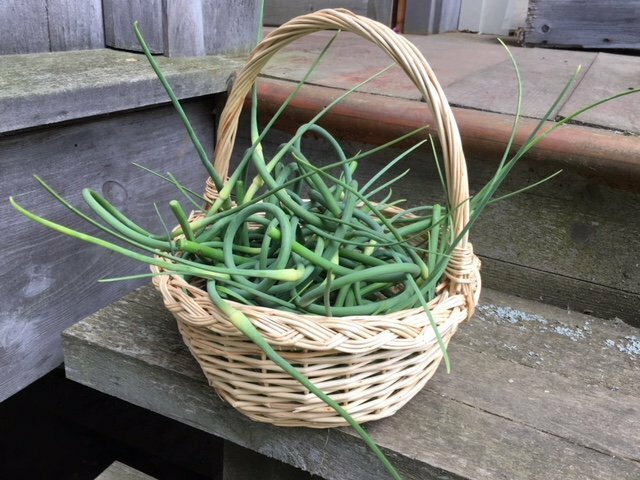 We have been picking scapes over the last few days. They are tender and juicy…great for pestos, soups, salads, etc. Anyone in the Ottawa-Gatineau region who would like to order some can contact us at mayohillgarlic@gmail.com (sorry scapes cannot be shipped).